In 10 most famous, beautiful piano songs from movies, you’ll find exactly that. Some of the all time best piano music from classic movies with famously beloved soundtracks. To rank our songs, we rated nearly 30 piano songs from popular movies, both classic and modern day, which we gathered from Take Lessons, Spotify, and Music Notes. We ranked them by their YouTube views, which can be found below every video. Everyone knows how popular YouTube is, and that much of the world uses it to listen to music and watch videos. That’s why we figured number of views was a great way to gauge both how beautiful and how popular a song is. We also provided links to the YouTube version of each song. But keep in mind that, though views are an accurate gauge, they aren’t a constant one. By the time you read this article, each video no doubt will have received more views than mentioned in this list. Especially since they’re such popular songs. So no hating if our numbers aren’t exactly on. Just know that on June 29, 2017, this is exactly where the views were on each song. We also didn’t rate only songs that solely had piano music in them. Though we made sure piano was the main focus, there are other instruments involved in some songs, and some are even vocal versions. But we do admit that piano music is beautiful, even when it’s not a movie soundtrack. 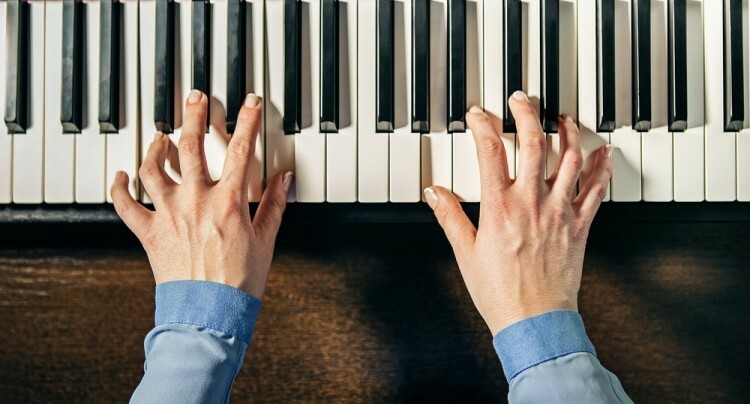 For more great piano music selections, see 11 Beautiful Modern Piano Songs to Learn. The surprising thing is that there’s a remarkable amount of similarities between some of the songs on this list. The same movie appeared three times with three of its best songs, and another movie series scored two of its songs on the list. Out of nearly 30 piano songs we rated from popular movies, the results showed only a few of those movies to have the best soundtracks. This is surprising, because every movie music enthusiast knows that Pride and Prejudice, Up, Titanic and the Star Wars movies have some of the best piano music out there. But though all those tracks were ranked, they didn’t make the top ten. We even ranked the infamous Christmas song from Charlie Brown, Linus and Lucy. Close, but not cigar. A list of our three runners up can however be found at the end of this list. So get your ears ready to hear some of the best piano music ever. Here are our 10 most famous, beautiful piano songs from movies. It’s no surprise that music from the fairly recent movie La La Land, starring Ryan Gosling and Emma Stone, would land this list. In fact, there’s more from this soundtrack to come. It’s clearly a hit with music lovers all over.